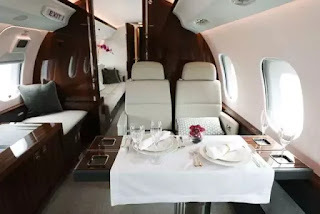 Bombardier Global 6000 jet If you spot a luxury Bombardier Global 6000 business jet with tail number ZS-OAK, Canada would love to hear from you. 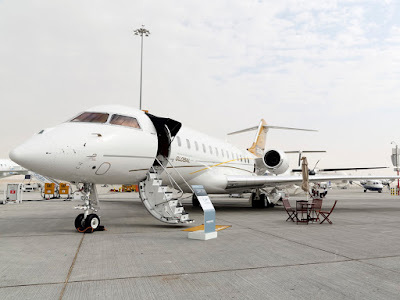 The jet belonged to South Africa’s Gupta family, whose widespread corruption helped trigger the scandals that forced President Jacob Zuma out of office. 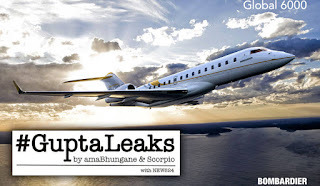 The Guptas bought the plane with a $41 million loan from Export Development Canada. EDC now says the family defaulted on the loan in October and still owes the bank $27 million. 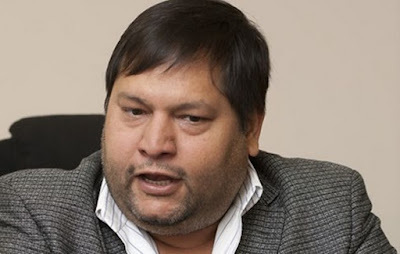 The Gupta family is an Indian-born South African family. 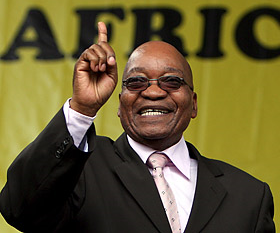 The Guptas owns a business empire spanning computer equipment, media and mining, and has been the focus of widespread scrutiny because of its close ties to Jacob Zuma. 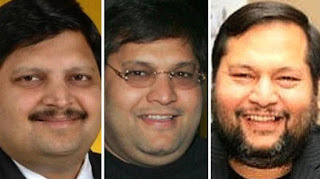 Brothers, Atul, Rajesh and Ajay Rajesh Gupta. EDC has to find the plane; the Guptas made the plane’s location data private. The disappearance of the plane is noted on FlightAware, a website that allows the public to track the location of planes around the world. “This aircraft (ZS-OAK) is not available for public tracking per request from the owner/operator,” the site says. The plane has been spotted in recent weeks at airports in India, Russia and Dubai. Jared Kushner - "weaponization of construction"
Spanish 'Pablo Escobar’ busted in Spain.